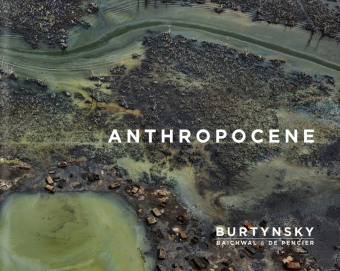 Anthropocene is the newest book by Edward Burtynsky to document human destruction of the earth on a geological scale. In photos as beautiful as they are disconcerting, Burtynsky explores issues such as extinction (large-scale burning of elephant tusks to disrupt illegal trade and the black market, the plight of the last white rhino), technofossils (Nigerian landfill sites entirely of plastic, massive concrete tetrapods to protect Chinese coastline from erosion), and terraforming (mines and industrial agriculture). Containing specially commissioned poems by Margaret Atwood published here for the first time, a statement by Burtynsky and a range of essays, Anthropocene presents compelling artistic and scientific responses to these urgent topics.The book is one part of the larger "Anthropocene" project, a multi-disciplinary body of work with film-makers Jennifer Baichwal and Nick de Pencier which includes a major traveling exhibition, documentary film and interactive website.